As someone who never really struggled with acne in my teens, I especially figured it was long behind me at twenty-one. WRONG! 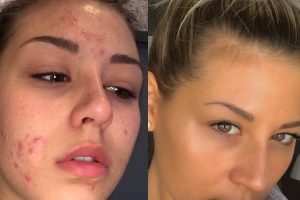 I had my first experience with acne during my third year of university, and little did I know the toll it was about to take on my self-confidence. At first, I thought it was just a breakout and if I waited it out it’d be gone in no time! Once again, WRONG! My skin got bumpier, redder and way more sensitive with each day that passed. That’s when I decided to put my foot down and do my research. The last thing I wanted to do was turn to medications to fix my skin. I knew it was a short-term fix and wasn’t really figuring out the root of the problem, so after months of experimenting, I’m proud to share the things that have worked magic for me. I know you probably hear this one all the time, but I cannot stress this enough! Although you feel like you may be speeding up the process, you’re slowing it down and creating problems that weren’t even there to begin. Not only are you scarring the surface, but you’re also spreading the bacteria and oil beneath the skin, causing more breakouts than before. 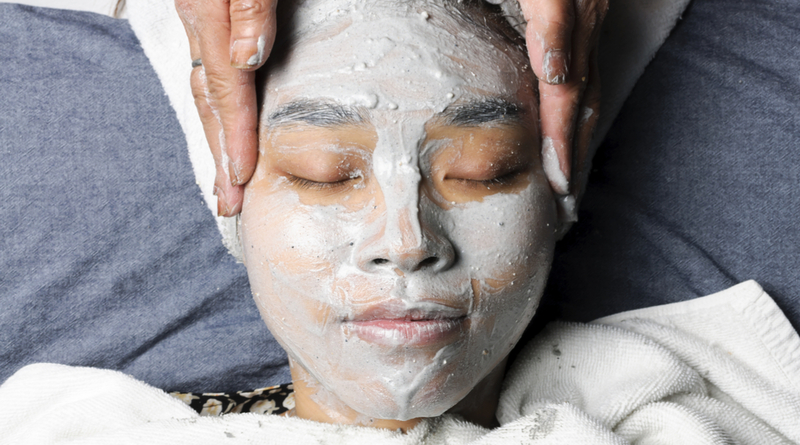 Peels are my newfound self-pampering form of love. Not only are they relaxing, but they leave my skin GLOWING for days. At first, I would go for gel peels every few weeks, but now I go whenever my skin’s feeling dull or in need. Gel peels chemically exfoliate your skin 3-5x deeper than a scrub would, allowing for layers of dirt, oil, and dead skin cells to be removed and therefore leave your skin clean and rejuvenated. Diet is a tricky topic to touch on because everyone metabolizes and tolerates things differently. Let’s discuss the universal diet tip that’s likely applicable to everyone and made a huge difference in my skin. Avoid dairy and refined sugar! Dairy contains several different hormones which stimulate your oil glands and send them into overdrive, clogging your pores and ultimately causing breakouts. However, dairy’s not your only enemy here, refined sugar may also be the cause of your acne. High glycemic foods (i.e. white bread, candy, etc.) spike your insulin levels and cause inflammation. When inflammation occurs, collagen is broken down and your skin will lack elasticity and the ability to regenerate from breakouts. As well, drink lots of water! Hydrated skin is happy skin! SkinOwl Charcoal Beauty Bar – I’m sure you’ve seen charcoal products taking over social media for a while now, but do you really know its main benefit? Charcoal draws out impurities and toxins from the skin, without stripping the skin of its natural oils. This bar cleanser also includes Lavender, Eucalyptus, Cedarwood, Tea Tree and Peppermint essential oils, which all have calming and healing effects on your skin. I always make sure I use this product after exfoliating too, as it takes away any redness and inflammation in my skin. And did I mention that its Vegan, Gluten-Free, GMO Free, Fragrance free, Cruelty free, and Paraben free? Well, now you know. Zyderma HS Antimicrobial Clarifying Cream – Zyderma contains actual silver particles which reduce the colonization and growth of harmful bacteria and microorganisms. The silver particles form an invisible shield over your skins surface so that bacteria are less likely to enter your pores and contribute to acne and breakouts. If you want the scientific diagrams of why it works so well, head to their website to get #educated, but just know that I can’t say enough good things about this product. It’s magical, effective, and well worth the money! By combining these small changes and products into your daily lifestyle, you too can feel confident in your own skin soon enough. Remember, consistency is key, and less is definitely more!